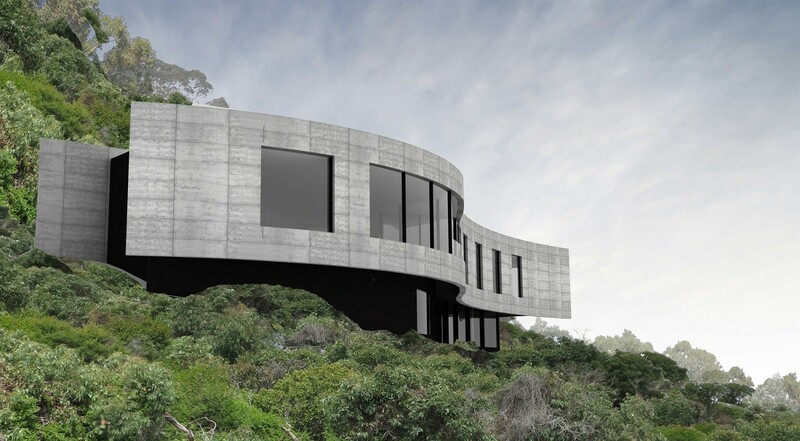 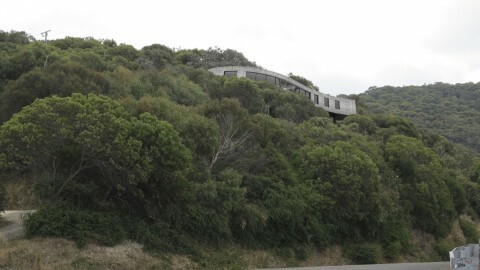 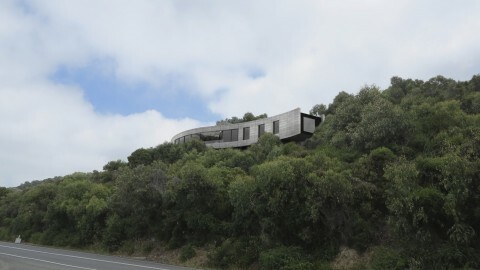 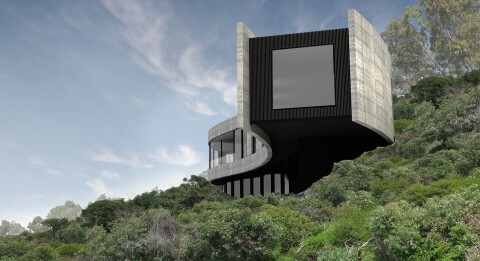 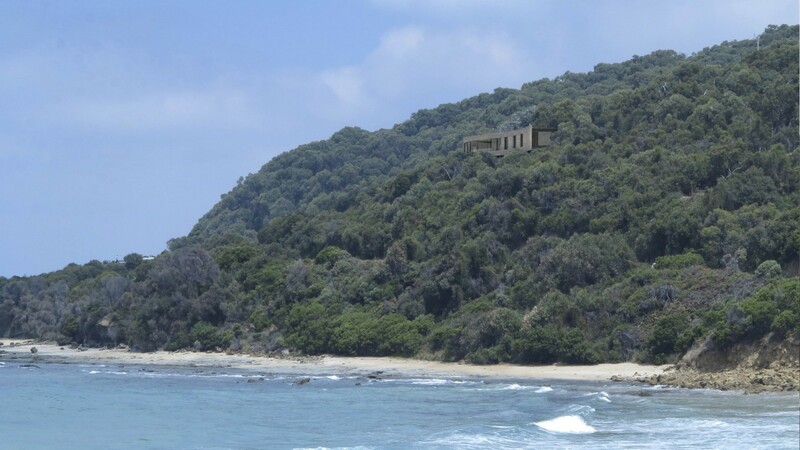 Located on the Great Ocean Road, overlooking Cathedral Rock, this project is sited along a contour line, curving with the hillside. The building's form is essentially two ribbons of rammed earth, which cut through and float above the sloping site. This natural material was chosen for its robust nature and natural colouring, referencing the existing trees and shrubs and the stone cliffs of the region.